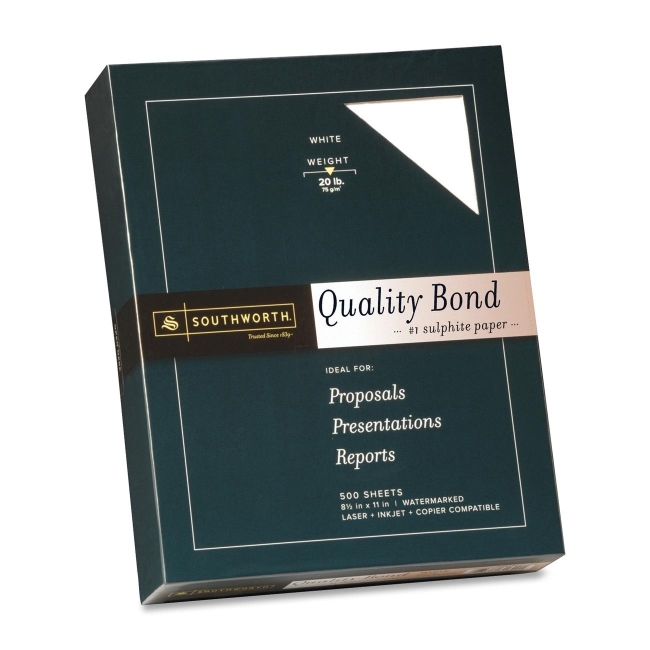 Southworth Credentials Bond Paper 500 / Box - White - 8.50" x 11"
Fine quality bond paper features high-quality Sulphite, a watermark and white wove finish. Each acid-free sheet is watermarked and date-coded for authenticity. Use in copiers, laser printers, and inkjet printers. 20 lb.